intro: music is an expression of feelings, and such quite much stronger or clearer on the "true levels of that source-energy" (the earth-level marked by yellow field on this symbol of Martinus, which is to be developed more also on the physical earth-level in the coming times/centuries, but still exist in a more developed stage on the higher levels of this earth, on 'another matter-frequency', where this sence/feel-energy is dominant). 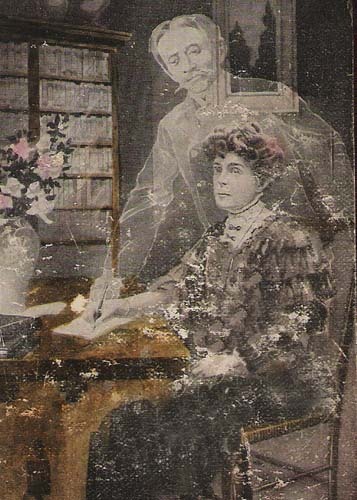 This 'music-level' is talked over in this book of A.Borgia, which is created thru this medial person here, who had in advance of the passing of his friend, Edw.White Benson, made agreements to communicate to him around his new life on the other side, they both KNEW to exist, prior to Edwards passing. Same method used - pre-trained psycic method of clair-audience, with help of the normal helpers that make such communication thru the levels possible, or easier. The book this is extract from, is made thru such a CLEAR medial connection to the other side - and created such, some ca.60 years ago! that our friend took us into was entirely dedicated to this important subject. some extensive musical training, and so she felt very much at home in this great college. see things exactly as they are—including their compositions. themselves musically. 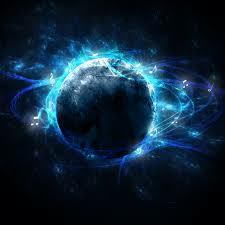 In music, it can be said that the spirit world starts where the earth world leaves off. their distinctive music. For that which is common to the earth, the customary instrument is sufficient. recalled that our vision is not as restricted in spirit as upon earth. numbers of other people, at that very moment, who, doubtless, had come for the same purpose as ourselves. bare thought of them; unhampered by every limitation that is common to our old incarnate life. we should establish a link, and we should find these thoughts reaching us whenever they were emitted. and would be continued without any break. that I could scarcely tell what the music was about. I was conscious of its sound, but that was really all. the four towers, while the most delicate colours were diffused throughout the whole of the etheric structure. the music must be pure to produce a pure form. produce monotony, but the discords were legitimately used and properly resolved. shades according to the variation in theme or movement of the music. ground as were we ourselves. elevating rays. On the next occasion we should take our places in the huge auditorium. different and unconnected pieces of music, when played together, would be to the ear. manuscript of music, knowing full well exactly what the result will be when the music is played or sung. would be impossible to emit any form of musical sound deliberately without the formation of such a form. this realm or higher, we are living in a state of perfection according to the limits of that realm. those who persist in believing that we live in a world of emptiness. it, in just the same relative way as an earthly rainbow, and the sun and moisture that cause it. they are, at last, faced with eternal truth beyond question or doubt. It is then that humility so often sets in! But we never reproach. The reproaching comes from within each soul itself. sphere, and continuously visit it—and their many friends—to pursue their teaching. places of importance in the city.
' 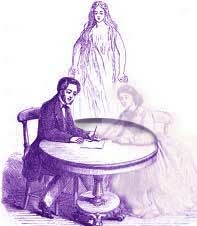 I shall give you a general outline of some of the conditions found on the astral plane. To the man who during his lifetime thought of little else but business, the next life will tend to be rather dull at first, especially if he has been in the habit of loving money for its own sake. Money is a purely physical thing and useless on the astral plane. This type of man will have to develop some other interest if he is to be really happy, in the next world. If however a man were fond of music in his lifetime, then he will be fond of it after death and he will find many opportunities of satisfying the longings he was unable to satisfy before. 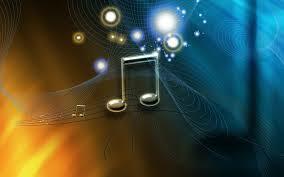 If he wishes, the lover of music can spend the whole of his time listening to the finest music the world can produce. Distance is now no limitation; he may listen to an opera in London for a time, then with scarcely a minutes delay he can be listening to another performance in New York or Australia. He can meet the great musicians of the past - unless they have already reincarnated; he can see the mighty thought forms which music on the physical plane produces in the finer matter of the astral world. Even though during his lifetime he was unable to play, he can now produce music by imagination. On the physical plane there are many people who are able to imagine beautiful passages of music, but are unable to express themselves, owing to the lack of technique. On the astral plane all such people are to be envied indeed, as their natural cravings are for things not dependent on the help of purely physical plane conditions. For the man who is fond of art, all the masterpieces of the world are at his disposal, whether they be in art galleries or private collections. Many an art lover has long wanted to go to Rome. Think of the hours of delight for him devouring the works of art to be seen there and there alone. He may meet the artists of the past, and it must not be supposed that they lose interest in their work because they have died. Far from it, now they create beautiful thought-forms, for they have no longer to use brushes and canvas to express their art. That was their only method of expression in the physical world, but after death the thought forms they create are just the same as pictures here, just as visible and much more beautiful. 'As an example of what happens to a man after death, take the sort of person who lives entirely for the physical plane life. By that I do not mean anything bad or that he is a man of many vices. On the contrary he is probably an exceedingly popular man during his lifetime, always surrounded by a host of friends and generally spoken well of by all. Probably his pleasures consist of living well, attending theatres, dances etc, and doing the thousand and one things that go to make up the life of what is termed "a man about town". Undoubtedly he is a successful business man and considered a model husband, but all the same, his life - both business and pleasure - depends on physical things, such as are only obtainable on the physical plane. There are many such people, as everyone who looks around him can see. 'After death a man of this type will probably be extremely bored and will have practically nothing to do. He will soon realise that making thought-forms of good dinners and intricate business deals becomes a very unsatisfactory method of killing time, when there are no physical results. He does not get the physical satisfaction to which he is accustomed after a good dinner with choice wines, though he can imagine and even appreciate the taste of dishes and wines, which he used to have on earth. It is impossible for him to feel the same result after drinking alcohol that he felt during his lifetime, however much he may drink, and the feeling of repletion which follows a good dinner on the physical plane, is entirely absent from the "astral" meal. Neither does he obtain much satisfaction from a successful business deal produced in his imagination, when he is unable to use the money so made for. On the astral plane things cannot be bought or sold. He can make thought - forms of as many thousands of gold pieces as he likes, but what can he do with them? Nothing! He can be likened to a man who had been wrecked on a desert island, surrounded by treasures, invaluable to him could he transport them to a civilised country, but useless in a place where there are no buyers and nothing to be bought. The man on the desert island has one advantage over the man on the astral plane, in as much as there is always the possibility of his being rescued, he may be able to return to his country with his newly found wealth. The "dead" man has no such hope, for when he returns to this plane, he comes as a child without possessions other than the experience gained in his previous lives, experience stored by his higher self in the reservoir of knowledge which, as he gradually evolves, he is more and more able to bring down to the physical level. Similar dissatisfaction is experienced from his accustomed sports. In all probability he played golf; he can still play golf if he wishes, in his new life, but he soon tires of this, for every shot he makes goes to the exact spot he has in mind at the moment of striking the ball. Every round played is a perfect round, never differing from the one before. Every putt is holed automatically, for he makes a thought -form of what he wishes to do and the fluidic astral matter immediately carries out, in form, the thought that his mind expressed. You can easily imagine how boring such a game would soon become and how different from the games played at the physical level, where one day he would play like a master and perhaps the next would be little better than a rabbit. The uncertainty was the charm of the game, and this no longer exists at the astral level. Just as the astral experiences of the average man and the man below average standard, are in accordance with the types lives they have lived on earth, so those of the intellectual man, the man above the average, are also in accordance with his mode of living. Such men pass more quickly through the lower to the higher levels of the astral world, where they are not only able to continue any experimental work in which they were interested, but can gather students with similar tastes round them. Such gatherings are to be seen frequently; the scientists with his group of students, the mathematician with his smaller group, both find the astral world a much more suitable plane in which to work than the physical world, for four dimensional space can now be studied with opportunities of experimenting. The artist has his group of pupils trying to imitate his skill, as also does the musician, and now the latter is happy indeed for he has the opportunity of listening not only to the world's music, but to the music of nature from that of the sea and the wind - to the music of the spheres - for there is a music of the spheres, there is an ordered song as the planets move through their mighty curves in space. There is music and colour connected with all the vast cosmic world, but as yet we understand the glory of the cosmic life as little as the crawling ant understands our life, with its many activities. A musician may meet the great angels of music, for there are angels who live for music, who express themselves in and by music, to whom music is what speech is to us. You will hear more about their activities later. ‘For the spiritually minded man, the man who has meditated deeply on higher things, there waits an infinity of bliss. During his lifetime he has had to rely on faith and his own reasoning powers, now he can prove the truth of many of the theories which he has studied in the world, and one can but faintly imagine the joy and peace that this knowledge will bring .to such a man; he has been struggling in darkness and now, to a certain extent, he has found the light. ‘ The philanthropist who during his lifetime has had one thought, one object in view – the helping of his fellow men - has perhaps the greatest opportunity of all, for now he is free to devote the whole of his time to helping and comforting those who require his services. If he takes up the special work of helping those who have just passed over, he will find work for every minute of his astral life. During war time the need for this work is great, for the ignorant are many and the helpers are few. Much good karma is then earned by those who have fitted themselves for such work and who seize this golden opportunity. ‘ Therefore I say to you, seek knowledge, not that you may help yourself alone, but that by this knowledge you may be able to assist your brother in distress; also that you may take your share in this great scheme of evolution and be, what every thinking man should be, a guide and a helper to the ignorant. ' Today brings me to one of the most pleasant parts of my description of the astral world, for I must now talk about children, and after all do not children really make a world? It is only necessary to spend Christmas with a family that is without children to realise what a difference their happy voices and romping games make to this greatest of all festivals; nothing seems the same, the house appears to be dead and the world empty of true happiness. Children's laughter is the most wonderful thing in the world, the one thing most missed by those who have worshipped at its shrine in the past, when they find that the time is gone by and that the revellers of the nursery have been submerged into the huge cauldron of adult humanity. It is as if children are the only really natural beings in the human world - the only people who understand enjoyment.
' ‘ The explanation of this lies in the fact that having so recently returned to earth they are as yet so near to the truly glorious life of the heaven world, that they still retain some touch with life at its highest, life that is one with the nature kingdom, the land of fairies, the land of beauties untold and undreamed of by the material beings we all seem to become, when we grow up and are tarred with the brush of convention and ”respectability". A condition analagous to this is to be seen in the animal kingdom. Even lion cubs are delightful as babies; when they are born, they have no fear for they have just come from the astral world where fear does not exist for them. After some months, or even a year or so, their instinct - which is part of the group soul to which they belong - filters through, then fear and antagonism for the human race comes into force and no longer can they be considered as safe pets. It is usually considered that nothing is quite so sad as for a child to be cut off at any stage of its career, but especially at the time when it is emerging from babyhood into what is described as the "interesting stage" at about three years old. The period when a child ceases to be a child is not determined by age; some lose their childish ways as soon as they enter school, others remain children till well into their teens. The death of a child must always seem unnecessary to those who have not grasped at least the elementary theory of evolution, for it is very natural that they should wonder why parents have to suffer in this way, and what the use is of a life which ends so soon after it has begun. Students of evolution however realise that a child is an individual who has descended to this physical plane to obtain experience - to work out its destiny. If it dies young, it gains little experience and it will not take long to assimilate this after leaving the physical world, thus it is more likely that the child who has died young will be the sooner back to live another life. It does not follow that it would lose anything or suffer in any way from this early death. If the average person would only take the little trouble necessary to gain this knowledge, how much happier the world would be. When a baby is about to pass to the next world, the ceremony of baptism should always be performed. This rite makes the child a member of a holy brotherhood, surrounds it with a certain definite protection and starts it along a certain line of vibrations and influences, which prevent harm from coming near it. ‘When children reach the astral world they have a wonderfully happy life, because of the absence of restrictions. They never lack attention for there are always numbers of mothers that have passed over who are willing and eager to care for a child that has died when a baby. They have the same maternal feelings when living at the astral level as they had when living in the physical world. Poverty, lack of food, and suffering from cold – such things have no place in the thoughts of the astral mother. Sleep is no longer a necessity, so there is plenty of time to give to any child she adopts. Apart from the pleasure of seeing that it is cared for and amused, she can commence the child's education, introducing it to the beauties of this world in their many forms. Such teaching may leave its mark on the child and may cause it to turn the artistic side of life in its next incarnation. Like the adult, the child is unchanged by passing to this new world. There are always many who are only too anxious to help him at his games and there are also the nature spirits, who play a great part in children's games on the astral plane. Think of the imaginative child surrounding himself, still in imagination, with the wonders of the kingdoms described in his fairy books. In this astral world the child will not have to rely on make believe. Once a thing is imagined, it is there plain for him to see, for the matter of the astral world is moulded by thought, and just as long as the child imagines a thing, so will the thing be there. Instead of sitting in an old washtub with a pair of walking sticks for oars, the child who wants to row on the river has only to think of the river, only to imagine the boat and the oars, and they are there for his use. The child who loves to imitate the heroes of fiction has only to think strongly of himself as the hero, and he immediately becomes his idea of what that character should be. The plastic astral body is moulded into that very shape and so for the time being, the child absolutely becomes what he is trying to imagine. He becomes Hermes with the winged shoes or Jason in charge of the Argo or Robin Hood, the hero of Sherwood Forest. Whatever he thinks of, he becomes and when he gets tired of that impersonation, he has only to think of someone else and the plastic astral body obeys his commands. It is a wonderful education for a child, this living amongst the characters of his imagination, since he learns much by this method that would be impossible under physical plane conditions. ‘We all know the child who is continually asking questions. How often have we found ourselves up against a stumbling block, because it is impossible to give an answer that may be understood by the listener who has only a child's undeveloped brain and elementary intellect. Sometimes we even go so far as to scold the child and try to discourage him from questioning. We do not want to hinder his progress, we just feel that now and again our answers are so inadequate that it would be better for the question to remain unanswered rather than to give a wrong impression. When the astral plane conditions can be made use of, all is changed. He can be shown the answer to his question by making an image to float before his eyes. A living model (for it is living so long as our thought is concentrated upon it) is a great improvement on a wordy discourse. 'It may be asked: "Do the children not miss their fathers and mothers, friends and playmates?" No they do not and for this reason. Everyone when asleep spends these hours in the same world as the child who is dead. The fathers and mothers who mourn because they think they have lost a child, find that the same child is visible to them again the moment they sleep and are out of their physical bodies; they are able to talk to the child and he to them, to play with him, to continue his education and so on. They are able, practically, to carry on from where they left off on earth, but the pity of it is that these self-same parents, remember nothing about this when they wake up in the morning. 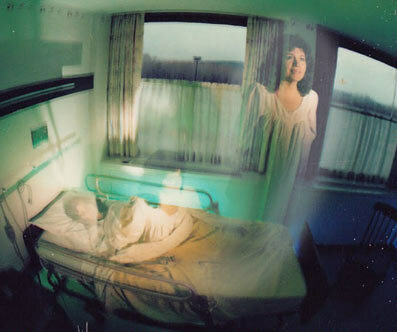 The child after death is invisible to the average parent, and to all who have not developed clairvoyance whereas the parents are never invisible to the child. He can always see them (the astral counterparts of their physical bodies) and often when parents are mourning over the death of a child, the one who is dead is standing by their side, trying in everyway possible to communicate with them. To the child, the parents seem to be very dull and stupid at such times, for the child can not realise that although he can see them, they can not see him.